Metro Car Removals is the “Car Removal Company” offers Cash for Damaged Cars in Sydney, that removes damaged vehicles of every condition. Vehicle owners get more than a Damaged Car Removals at no cost with Metro Car Removal. We buy autos for cash. At Metro Car Removal, damaged car owners get up to $7,000 for any make and condition of a vehicle. Give us a call today. Finding the right company to remove your damaged car often means a CAR REMOVAL company that works around your hours. One that doesn’t require you prep the vehicle. One that doesn’t charge for towing. One that leaves you with a cash payment for your damaged vehicle that is a fair price for the auto. At Metro Car Removal, we buy Cars, Vans, Trucks, 4x4s, Utes, Jeeps, Commercial Vehicles, SUVs, Buses & Bikes for cash and offer just that. We aren’t choosy as to the make or condition of the vehicles as we are expert “Auto Wreckers in Sydney”. Metro Car Removal is a fully licensed Used & Scrap Car Buyer that is also an Auto Wrecker. Our wrecking yard is filled with all the advanced technology that allows our Auto Wreckers to provide top-notch Car Disposals. Our Auto Wreckers get the most value out of vehicles by practicing the principles of “Green Car Recycling”. With this method, eighty to one hundred percent of vehicles are recycled, creating the least threat of hazards to the environment. With our Green Car Recycling, vehicle owners also get up to $7000 for their recycled autos. We are Car Removal specialists that pay vehicle owners up to $7,000 cash. That’s cash for your damaged vehicle whether it has been involved in an auto accident or just needs a few repairs to be back on the road in running condition. Our Cash for Damaged Cars means cash for any vehicle- Truck, Van, Ute, Jeep, SUV, Bus or Bike, as well. Foreign or domestic, running or not. We pay Cash for your damaged vehicle of any make & condition. Vehicles that are severely damaged will be recycled, keeping the environment green. Our Green Car Recycling means a Cash for a Damaged Car payment. A Cash for Damaged Car payment as much as $7000. Get a Cash quote for your unwanted vehicle by giving Metro Car Removal a call. 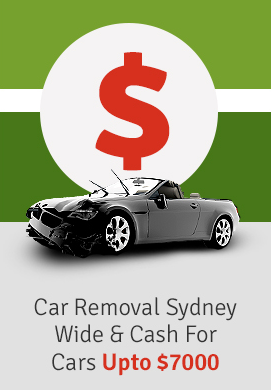 We are the Car Removal company in Sydney that will buy your auto of any make & condition today and put up to $7000 cash in your hands. For a quote and Same Day Car Removal that pays up to $7000 cash give us a call or complete our “Get a Quote” form located at the top right of this page. Call us at 0422 600 833 or complete our “Get a Quote” form.